Dr. Shrestha is Vice President, Medical Information Technology, University of Pittsburgh Medical Center, Pittsburgh, PA; and Medical Director, Interoperability & Imaging Informatics, Pittsburgh, PA. 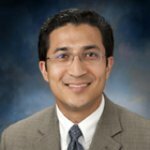 Disclosures: Dr. Shrestha is on the Medical Advisory Boards of Nuance Inc. and Vital Images, Inc., as well as on the Editorial Board of Applied Radiology, and the Advisory Board of KLAS Research. The vendor neutral archive (VNA) is today more than just a catchy buzzword. Radiology departments across the country are working with enterprise information technology (IT) to actively adopt or consider adopting a VNA, which serves as an enterprise imaging repository sourcing data from, potentially, all specialties—radiology, cardiology, pathology, ophthalmology, etc. However, VNAs have often been misunderstood, misinterpreted and over- or under-represented. The core objective of VNAs is to enable healthcare facilities to streamline distribution, storage, and access to imaging and imaging- related data from different departments through using the facility’s existing solutions, such as any picture archiving and communications system (PACS) or electronic medical record (EMR) and so on. The theory, at least, is that this would provide a newfound freedom to provider organizations with regards to decisions and cost-effectiveness around image archiving, and not have to be held hostage to application vendors who may have proprietary, application-centric, or costlier ways to handle content management. VNAs are a big buzzword1 these days, but just a few years ago, not everyone was so keen on this growing trend. PACS vendors at that time were happy selling a complete solution, and providers were just as happy buying these complete solutions from the vendors, with the goal of reaping the historical benefits of the compelling return of investment (ROI) in going from film to filmless, and the compelling benefits to be had from a clinical and operational productivity perspective. The notion of decoupling the PACS from the archive, and the desire for a VNA started when a number of providers recognized a key driver—with growing needs and increasing maturity of their systems and organizations, their data was seemingly being held hostage by their application vendors. The desire to decouple the PACS from the archive soon grew to a logical need, and this need has now evolved into a market demand. This progression can be deemed a natural evolution, as opposed to a revolution, and is clearly a sign that the imaging industry is maturing. But this maturity did not necessarily come willingly. As the VNA ‘buzz’ caught on, some PACS vendors initially and naturally denied the very need for this ‘radical’ approach. Many of the reasons they cited had and continue to have validation at certain levels. For example, application performance and responsiveness was seemingly tied directly to the application vendors’ needing to hog the content and hog it in their own proprietary terms. When the cries for VNAs started to get louder, the application vendors started to see an important part of their business begin to be overtaken by emerging expertise focused around infrastructure and content migration. And quite ingeniously, some of the same vendors started to adopt a ‘me too’ strategy, where the PACS vendors attempted to convince the providers that they now have a PACS front end with a VNA of their own! This was achieved either with organic growth, in concert with content migration vendors or, in some cases, with acquisitions. Infrastructure vendors were quick on their game, too, trying to “milk the VNA cow,” alongside thoroughbred VNA vendors. This mishmash of various approaches and varying levels of competence in VNAs perhaps is a seemingly natural progression too. The healthcare information technology market continues to react in various ways to this emerging trend and evolving need.2 Fortunately, however, we are certainly at a point today where there is both an acceptance of the concept of a VNA and, more importantly, increasing clarity around what a true VNA could and should look like. However, stark differences still exist across the many choices of VNAs in the marketplace. A VNA offers the promise of more flexibility, which comes in handy with adding new imaging systems online, consolidating systems or switching from one PACS to another. The largest growing segment of the PACS market today is the replacement market, and medical facilities are seeking more flexibility in handling and future-proofing their imaging content management so as to mitigate complex data migrations. A unified and streamlined management of images and related content in a VNA holds the promise of reducing costs by eliminating or mitigating costly data migrations and limiting the number of interfaces required to image enable institutional information systems, eg, the electronic health record (EHR). Centrally managed storage solutions have been shown to lead to reduced total cost of ownership in a relatively short period of time, and multi-phased progressive VNA deployments have been shown to bear good returns. A consolidated and controlled VNA streamlines enterprise access to images and related content, enabling efficient retrieval of content from anywhere, across any application or system. Ideally configured, this could guarantee always on access to imaging content, even if the PACS is down. Growing access needs could also be streamlined, such as for patient portals, cloud-based image exchanges3, and more. Decoupling of the PACS from the archive also allows for intelligent information lifecycle management4 policies to be put in place and policed, centrally, and with more uniformity and control. As organizations mature, and information systems grow in number and complexity, it is critical to be able to centrally manage and utilize the data intelligently, especially for effective clinical use. The growing maturity of the imaging workflow today calls for a compelling argument for a move away from the one-stop-shop model of the legacy PACS to one where componentization of various logical modules are possible. PACS vendors are best left to handle the complex and critical workflows that define the front-end PACS experience. Indeed, many provider organizations today have more than one PACS across radiology, cardiology, and other growing “-ologies.” Healthcare organizational structures are getting more complex. The ecosystem of imaging applications needs to thrive on a robust vendor-agnostic archive that comprises a scalable and flexible-backed storage platform layer that snugly sits below a standards based middleware layer. This layer provides image and information management capabilities with wide ranging support for intra- as well as inter-departmental, enterprise as well as broader regional workflows. Such level of componentization ensures a level of maturity not possible before, and provides each module with the freedom to progress further. A robust VNA should have support for both DICOM and non-DICOM content, including waveforms, movie files, and audio files, all in their native formats. There should be full support for various IHE5 profiles, including cross-enterprise document sharing (XDS and XDS-i). Context management of data across various sources along with support for complex tag morphing rules is critical, as is the capability to support the full suite of DICOM SOP classes, including various presentation states and disparate key image notes from multiple applications. Of critical importance, however, is the workflow layer that is enabled by the middleware and storage layers. A robustly designed VNA—integrated with the institutional informatics solutions—enables standards-based information management and effective clinical workflow management. Otherwise, without robust workflow enablement, a VNA may just end up as an expensive paperweight. This should be true for complex and well-defined workflows, such as those found in radiology and cardiology, and less-defined workflows that may be more EMR focused, such as those found in wound imaging and otolaryngology. This level of maturity enables a streamlined and workflow-oriented clinical content foundation that is patient-centric and interoperable across various applications. The main issue at hand is that of control. With VNAs, providers are seeking to regain some of that control from the application vendors. But control is a funny beast. The moment you take steps to free yourself from the shackles of your application vendors, you wake up to realize that you have tied yourself to the confines dictated by your VNA vendor. It’s like déjà vu all over again. So, what’s one to do? There are 3 things to keep in mind here in addressing this dilemma. First is the fact that the complexities and challenges afforded by multiple application vendors are best handled by a controlled entity working on your terms with nonproprietary, standards-based approaches to archiving and content management. A streamlined, controlled enterprise approach with a single “throat-to-choke” can be just what the doctor ordered—as long as the entire VNA-based ecosystem is designed around long-term institutional needs. PACS replacements6 are considered every 5 to 7 years, whereas major infrastructure decisions, such as VNAs, have a much longer lifecycle, closer perhaps to 15 to 20 years. The most valuable “get out of jail free card” in the VNA game, however, has to be the push for strict adherence to industry standards. The icing on the cake will be a VNA partner who provides a future-proof platform that allows for growth with next-generation storage devices and capabilities. Most of the thoroughbred VNA vendors started off with key expertises in DICOM data migration (eg, Acuo, DeJarnette, DICOM Grid, Teramedica, etc.). They are often seen in the industry as the ‘purists,’ often touting the fact that if you truly want to decouple your PACS from your archive, then you clearly cannot rely on your PACS vendor to do this. Enter the thoroughbreds. Their experience dealing with all things data migration and content management is their biggest asset. As explained above, as VNAs gained momentum, some PACS companies engineered, acquired, or partnered with VNA companies and touted their own VNAs. The range and competency in this category is wide, and while some in the industry did not take the “me-too” resurgence from the PACS companies too seriously, several key PACS players are today reengineering robust content management capabilities, which when married with the inherent workflow finesse, could make for a formidable story. Traditional infrastructure companies (eg, Dell, EMC, Hitachi, IBM, etc.) have entered the VNA race, too, and were perhaps always there from the beginning. They bring their strengths around storage architecture and intricate deployment options. Telecommunications and consultancy companies frequently form tight alliances with the infrastructure VNA vendors, often through partnerships or acquisitions, and offering a unique perspective on solving complex challenges. Not all VNA solutions are created equal, however, and as each of these categories continues to evolve, the story keeps on getting better for all of us. Enterprise content management (ECM) firms bridging with VNAs seems to be the next logical evolution,7 and this makes for perfect sense in terms of a broader strategy to manage all content across the healthcare enterprise. Across the board, there is a push for greater degrees of maturity around content management in healthcare, and my prediction is for continued innovation in this area. Enterprise vendor-neutral archives have the potential to dramatically shift the way health care is practiced, enabling the transformation to true collaborative care with meaningful data interoperability across imaging and related clinical content—providing a compellingly strong foundation for patient-centered care. Shrestha RB. Blinded by buzzwords. Enterprise Imaging Blog. Applied Radiology. www.appliedradiology.com/blog_comment.aspx?id=27711&amp;blogid=201402&blogid=201402. June 1, 2012. Accessed October 14, 2012. Howell WL. Vendor-neutral archives: The rapid shift in image archiving. Diagnostic Imaging. http://www.diagnosticimaging.com/informatics-pacs/content/article/113619/2098615. August 24, 2012. Accessed January 7, 2013. Shrestha RB. Imaging on the cloud. 2011;40:5. Yeager D. Vendor-Neutral Archive or Archive-Neutral Vendor? http://www.radiologytoday.net/archive/rt0311p12.shtml. March 2011. Accessed January 7, 2012. Channin DS. Integrating the healthcare enterprise: A primer: Part 2.2001:5:1343-1350. Shrestha RB. Guide to replacement PACS, version 2012. 2012;41:4. Newswire P. Lexmark acquires Acuo Technologies. PR Newswire. http://www.prnewswire.com/news-releases/lexmark-acquires-acuo-technologies-185461462.html. Enterprise vendor neutral archive: Guide to riding the bandwagon. Appl Radiol.